Households throughout the Sacramento region are eligible for free help preparing their taxes and claiming credits this year, saving an average of $200 in preparer fees and often earning thousands of dollars in credits. United Way California Capital Region’s Free Tax Prep program, supported by Citi Community Development, kicked off in early February and continues across the region through April 15 at weekend community events and dozens of weekday sites throughout Amador, Placer, Sacramento and Yolo counties. IRS-certified volunteers provide free basic tax return preparation with electronic filing and help guests claim the maximum tax credits for which they are eligible. To receive help, households must have earned $60,000 or less in 2018. Services are available in several languages, and many locations require appointments. For locations and events: YourFreeTaxPrep.org. To make an appointment: call 2-1-1 or (800) 500-4931 (toll free). Households that earned $66,000 or less in 2018 are eligible to file their taxes for free online at MyFreeTaxes.org through a partnership with United Ways of California. The site provides households with free tax help they can trust and guides users through federal and state filing, including tax credits, with software powered by H&R Block. Users need a valid email address, income forms and Adjusted Gross Income from 2018. This year, more households are eligible to claim federal and state Earned Income Tax Credits (EITC and Cal EITC), Child Tax Credit, and Credit for the Elderly or the Disabled. Age qualification for Cal EITC has been expanded to include ages 18-24 and working adults ages 65 and up, giving more taxpayers the opportunity to earn up to $6,500 in credits, including those who are self-employed. Many Cal EITC-eligible households are not legally required to file taxes due to very low incomes; however if they do file, they can claim the state and federal credits for which they are eligible. Due to federal law, those who file for EITC, Cal EITC or Child Tax Credit should plan for their refund to be delayed until end of February, no matter who prepares their taxes. For more information about available tax credits, visit YourFreeTaxPrep.org. Nearly 8,500 households in the Sacramento area took advantage of United Way’s Free Tax Prep services for the 2017 tax year, resulting in more than $10 million in money claimed through credits and refunds. With support from Citi Community Development, free tax help was significantly expanded across the region last year in Amador, Placer, Sacramento and Yolo counties, increasing the number of households helped by more than 2,500 and resulting in more than a $3 million increase in refunds for the region compared to last year. 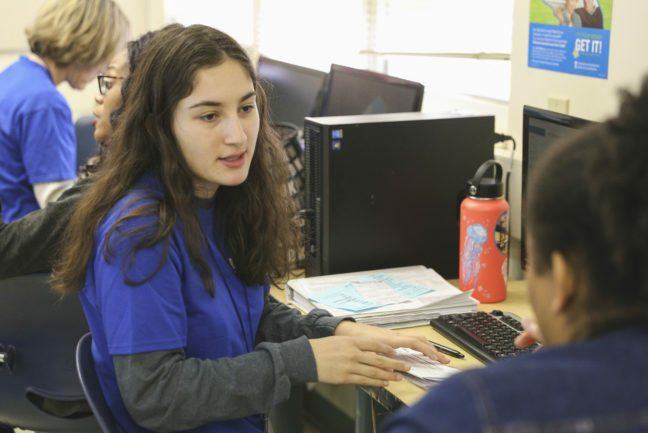 Other sponsors of United Way’s 2019 Free Tax Prep program include the IRS, the State of California Department of Community Services and Development, and the Sacramento Municipal Utility District. For nearly 100 years, United Way California Capital Region has brought local people together to make community change happen. Today, the nonprofit is bringing people together across Amador, El Dorado, Sacramento, Placer and Yolo counties for its Square One Project, a 20-year promise to significantly increase the number of students in our region who graduate from high school ready for success in college and beyond. United Way believes ending generational poverty starts in school and is working to ensure kids meet important milestones and their families receive support and resources. To learn more and make a donation: YourLocalUnitedWay.org.